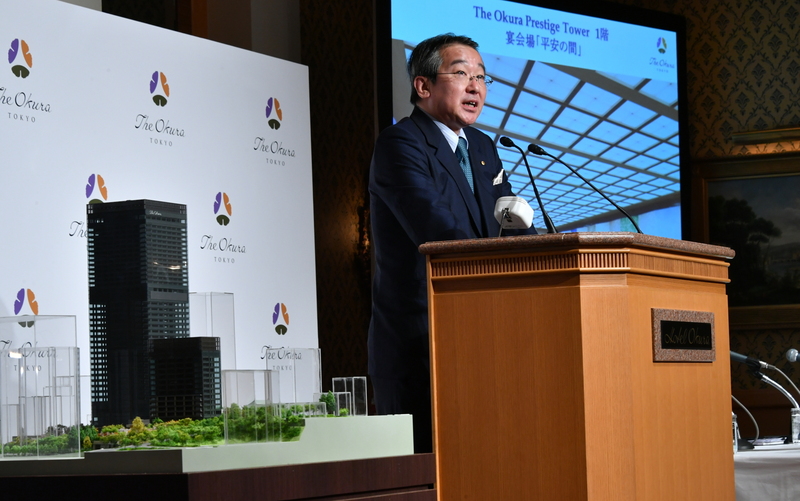 The Hotel Okura, one of the most prestigious hotels in Tokyo and located right next to the U.S. Embassy, will reopen in September 2019 after a ¥110 billion renovation. 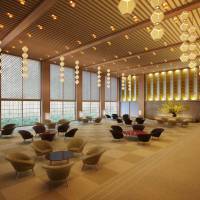 The refurbishment includes the full restoration of the much-beloved main lobby, which sports an interior that combines Japanese traditions and Western modernism. 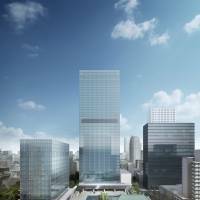 Hotel Okura Co. announced Monday that it will relaunch its flagship hotel, which boasts 508 luxury rooms housed in two new buildings in the Toranomon district of Tokyo’s Minato Ward. 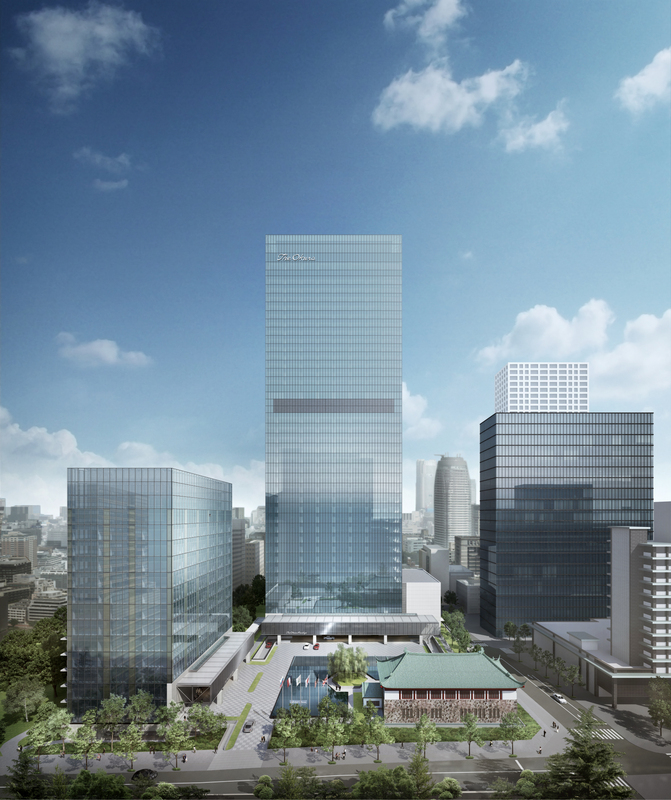 The new super-luxury hotel, to be named The Okura Tokyo, will also have a large Japanese-style garden and a small museum housing traditional works of art in the compound. The average room charge in the 17-story Heritage Wing is expected to be around ¥70,000 — one of the highest rates in Tokyo — and ¥45,000 to ¥50,000 for guests in the 41-story Prestige Tower, the company said. The old main structure was demolished in 2015, amid strong calls for its iconic design to be preserved. Currently, only the south-wing annex of the hotel is in operation. “Now the business conditions for the hotel industry are really good. 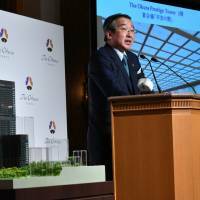 The demand is at its highest since the burst of the bubble economy” of the early 1990s, said Toshihiro Ogita, president of Hotel Okura Co., during a news conference at the south-wing annex on Monday. Rapidly growing tourism has greatly boosted demand for hotel rooms in Tokyo in recent years. Demand for luxury rooms, too, is set to keep increasing, along with the predicted growth of per-capita gross domestic product in some Asian countries, Ogita said. The Prestige Tower’s lobby will be “a precise reprise” of that of the old Hotel Okura Tokyo. 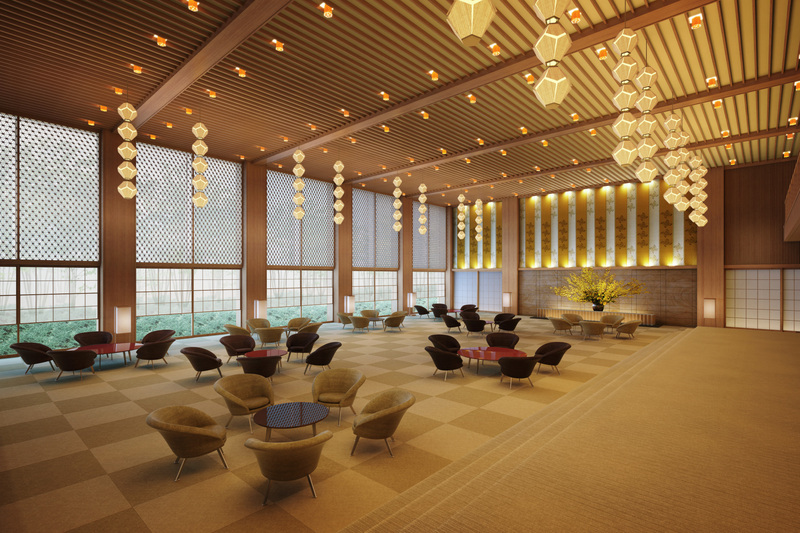 With the repair of many decorations and furniture, including hanging Okura lanterns shaped in the style of ancient gems, the new lobby will be made almost identical to the original. After the hotel announced its plan to dismantle the old structure thousands of people signed an online petition calling for the preservation of the old lobby, prompting the hotel operator to have it reproduced, company officials said. Hotel Okura says it decided to tear down the old structure and replace it with more quake-resistant buildings after witnessing the magnitude 9 quake-tsunami disaster that devastated the Tohoku region in 2011. But it is also true that the hotel, originally opened in 1962, was facing tough competition with a number of new hotels run by foreign luxury hotel operators. Designed by architect Yoshiro Taniguchi, the Okura has accommodated such luminaries as French actress Jeanne Moreau, Indiana Jones star Harrison Ford and a number of U.S. presidents who have visited Tokyo.